In Episode 1, The Crowd & The Cloud learns about the radical way surfers and scientists are joining forces to protect our oceans. Scroll down to learn more about the people and projects featured in this segment. Collect data about climate change impacts on ocean health while surfing! There probably isn’t anything more cool than surfing for science, and that’s exactly what the surfers in Episode 4 of THE CROWD & THE CLOUD do. Using the Smartfin surfboard sensor, surfers are able to measure several ocean parameters, including salinity, temperature, pH, location, and wave characteristics. The data which surfers collect will be accessible in near real time to the scientific community worldwide. With data collected from Smartfin users, scientists can better understand ocean warming trends and other patterns that become apparent from its chemistry. But Smartfin is not only about the data, it's about education and awareness also. The idea is to connect surfers and beach communities with issues affecting ocean health, with the hope of inspiring citizens to be more environmentally conscious. Through empowering communities with knowledge about the ocean, the Smartfin developers hope to mobilize people to take action and combat climate change and its impacts. Smartfin is an initiative of The Lost Bird Project, and has been collaborating with researchers at the Scripps Institution of Oceanography since 2015, to validate the scientific application of Smartfin in the surf zone. In 2016, Smartfin partnered with the Surfrider Foundation, a non profit organization dedicated to the protection of the world’s oceans. Through their powerful activist network of over 50,000 members, Surfrider provides support for the distribution of Smartfins to surfers worldwide. 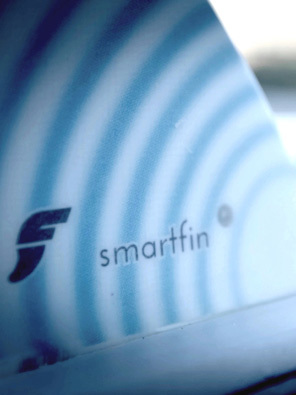 You don’t need to be a surfer to join the Smartfin community. Find out more at the Smartfin Website! Prepare society to respond to changing ocean conditions and resources by expanding understanding of ocean acidification. A well-designed program and accompanying sampling protocols through a comprehensive Fishery Citizen Science Program. The Great Barrier Reef is bleaching yet again, and scientists say only swift climate action can save it. Artist Todd McGrain creates bronze sculptures of five extinct bird species, then attempts to install the pieces where the birds were last seen in the wild. Seek, teach, and communicate scientific understanding of the oceans, atmosphere, Earth, and other planets for the benefit of society and the environment.